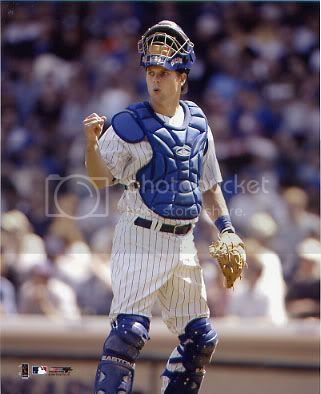 In what can only be assumed is a vindictive move, the Cubs have exacted revenge on the Padres by trading Michael Barrett to them for catcher Rob Bowen and a minor leaguer. Let's see how the Padres like it now with Barrett calling games to their pitchers and getting tagged out on the basepaths. Suckers!